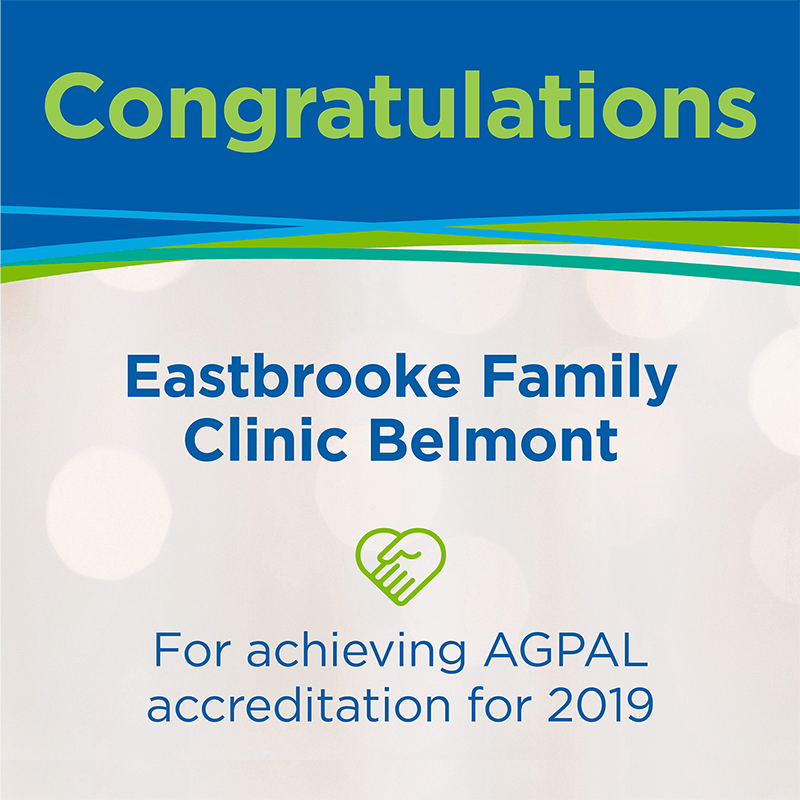 We are very proud to announce that the Eastbrooke Family Clinic, Belmont has achieved AGPAL accreditation for 2019, demonstrating its commitment to quality and safety within its practice. AGPAL (Australian General Practice Accreditation Limited) Chair, Dr Richard Choong, said accreditation shows the practice makes a significant investment and commitment to quality on a day-to-day basis, across all levels of the practice team. “Achieving accreditation is a major achievement and a clear demonstration that Eastbrooke Family Clinic Belmont is striving to improve their level of care to both patients and the community,” he said. To achieve accreditation, Practice Manager, Vicky, and her team worked over a 12 month period to implement the Royal Australian College of General Practitioners (RACGP) Standards for general practices, the recognised national standard for general practices, that provides a template for quality care and risk management. A big congratulations to Vicky and the team at Eastbrooke Family Clinic, Belmont!